Experts have issued new guidelines for people visiting hospital patients with infectious diseases. The recommendations were published in Infection Control & Hospital Epidemiology, the journal of the Society for Healthcare Epidemiology of America (SHEA). Hand hygiene performed before entering and just after leaving a patient’s room. In areas where they are endemic, methicillin-resistant Staphylococcus aureus (MRSA) and Vancomycin-resistant enterococci (VRE) do not require contact isolation precautions for visitors given their prevalence in the community. However, special considerations should be made for immunocompromised visitors or those unable to practice good hand hygiene. 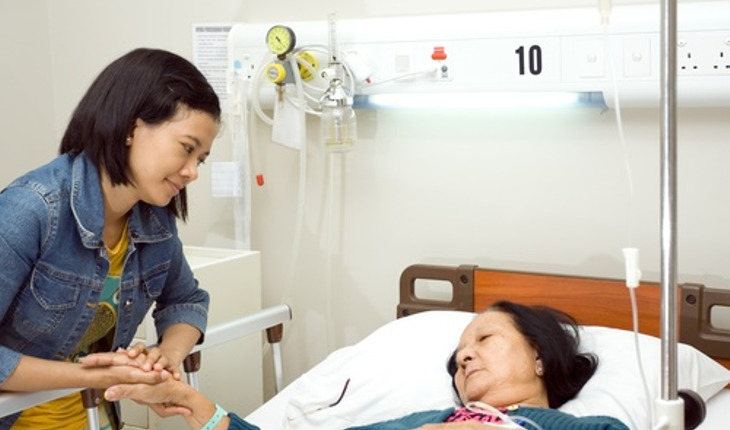 Visitors of patients with “gram-negative” organisms, such as carbapenem-resistant Enterobacteriaceae (CRE) and Klebsiella pnemoniae carbapenemase (KPC), should follow contact precautions to help prevent transference of pathogens to guests. Intestinal pathogens, such as Clostridium difficile and norovirus, are potentially harmful to visitors and have low prevalence in the community. The experts recommended contact isolation precautions. According to a news release from SHEA, visitors to rooms with droplet (i.e., pertussis) or airborne precautions (i.e., tuberculosis) should use surgical masks. This is especially the case for household contacts already exposed to the symptomatic patient. N95 respirators are an alternative. Consideration should be given to limit visitation for those visitors requiring high levels of protection (due to lack of documented exposure to the symptomatic patient). In outbreak situations or when novel pathogens are suspected, isolation precautions should be enforced for all visitors. For visitors with extended stays, like parents and guardians, isolation precautions are likely not practical and the benefit of wearing personal protective equipment like gowns and gloves is unclear except if assisting in care delivery. In many cases, these visitors may have had extensive exposure to the patient prior to hospitalization and could be immune to the pathogen or in an incubation period. The authors recommend further research on the role of visitors in the transmission of healthcare-associated infections so that experts can more exactly define the risk and preventive measures necessary.